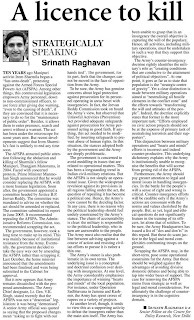 Ajay Banerjee Tribune News Service New Delhi, March 31 More than 40 years ago, three young men were together in a squadron, ‘the hunters’ as cadets at the National Defence Academy, Pune. 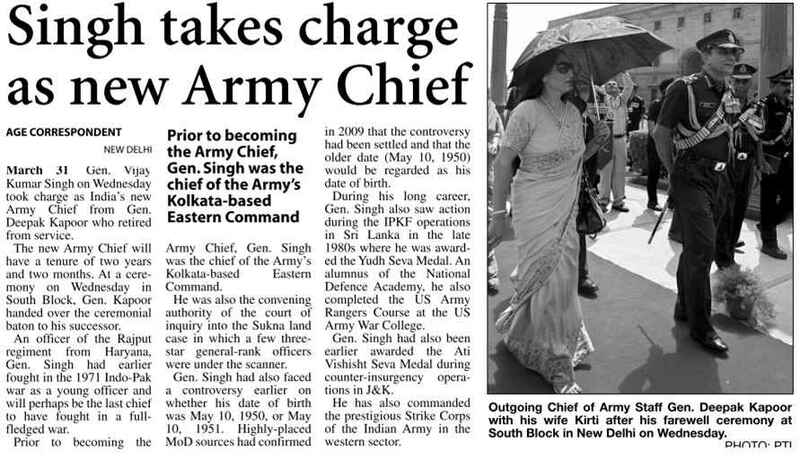 Today, when General VK Singh took over as Chief of the Indian Army, he may have been a unique co-incidence. Now all the three serving service Chiefs are from the same squadron of the NDA where they together spent their formative years. 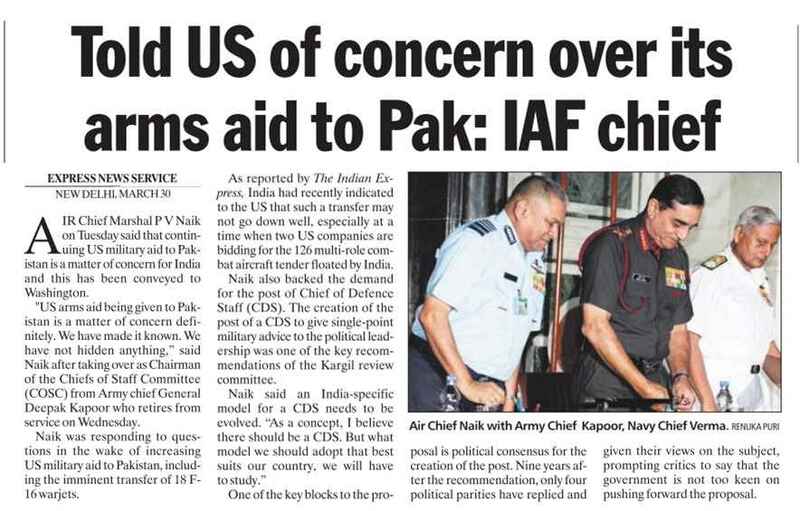 Old timers do not recall a similar instance when all three Chiefs are from the same squadron of the NDA. There are 15 squadrons at the NDA and each squadron has 100-120 cadets of various batches at any given point of point of time. Each of the squadron is attached to a Battalion which are four in number. 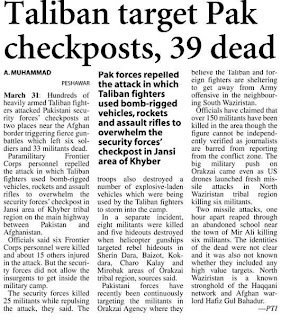 The ‘hunters’ are under the 2nd Battalion. Most of the interaction between cadets is limited to the squadrons they belong to or to their own course mates. The entire training period is spent together in competition with other squadrons in sports, academics and extra-curricular activities. The other two from the “hunters” Air Chief Marshall PV Naik and Admiral Nirmal Verma are already the chiefs of the IAF and the Navy, respectively. Gen Singh joined this two former mates today as he took over as Army Chief at his office located in the South Block. General V K Singh, who is from the Rajput Regiment, took over as the Chief of the Indian Army, the second largest in the world. 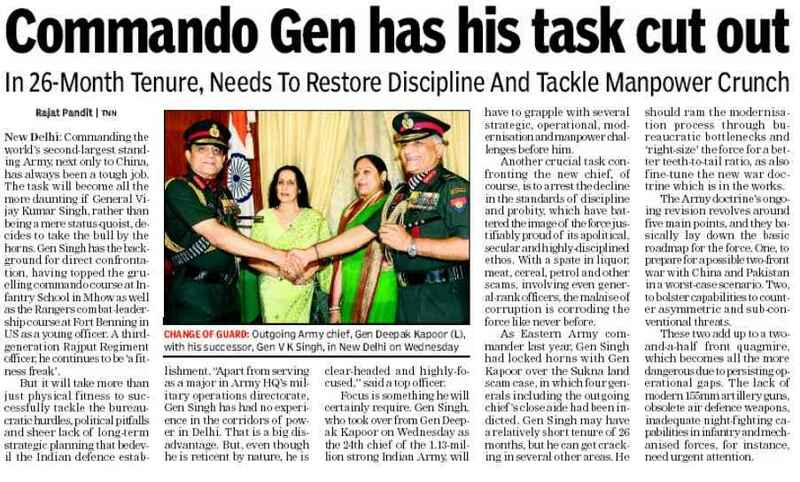 General Deepak Kapoor handed charge over to him. The outgoing Chief and his successor were accompanied by their wives at brief ceremony this morning. 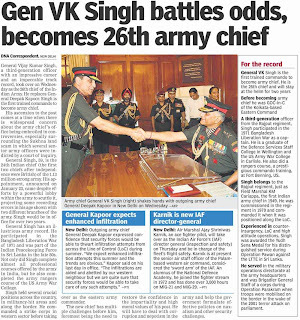 General Singh will be 26th chief of the Army and will stay at the helm of the 1.13 million-strong force for over two years. General VK Singh is the first trained commando to take over as the Army Chief. He was awarded the ‘Commando Dagger’ for standing first in the course. He has seen action in the 1971 war as a young lieutenant. He has experience in counter-insurgency operations along the Line of Control. He has also commanded the Jalandhar-based 11 Corps and the Ambala-based 2 Strike Corps. 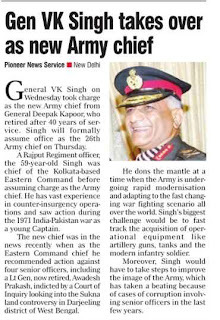 General Kapoor retired from the Army after over four decades of service and would formally cease to be the Army Chief at midnight tonight. 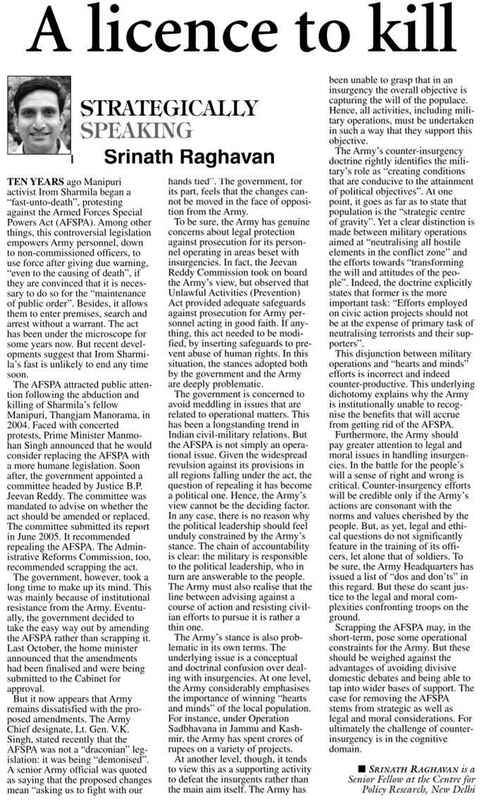 Vijay Mohan Tribune News Service Chandigarh, March 31 Withdrawal and subsequent recovery of counter-insurgency (CI) allowance to a section of Army personnel deployed in affected areas has kicked up a controversy, with a brigadier among several others moving the Armed Forces Tribunal against the government’s action. Following objections by the Comptroller and Auditor General in its report of 2007, that Army personnel deputed to the Border Roads Organisation (BRO) and the General Reserve Engineer Force (GREF) were actually engaged in CI operations, the allowance, that was introduced in 1994, was stopped and recovery initiated from all those who had received the allowance since 1994. 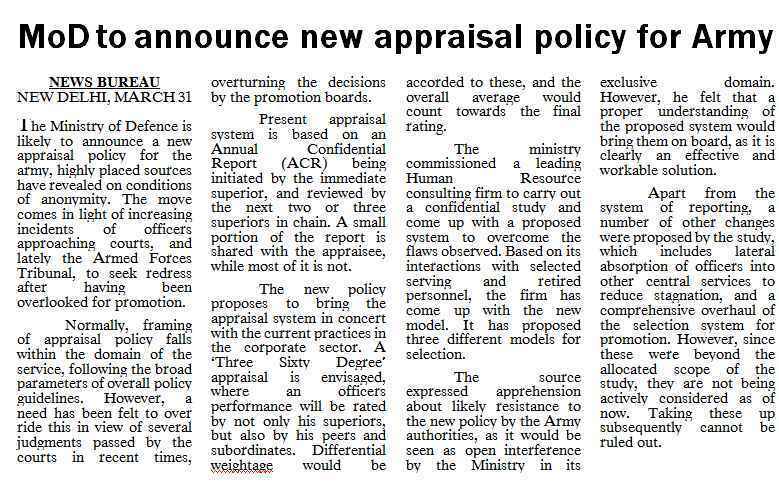 Over the past 16 years since the introduction of the allowance, thousands of officers and other ranks would have served in the BRO and GREF and consequently be affected by the said issue. At present the CI allowance for officers is Rs 7,800 per month. Many affected persons have by now retired and recovery is being done retrospectively. The tribunal’s bench comprising Justice Ghanshyam Prashad and Lt Gen AS Bahia today issued notice to the government on the petition seeking restoration of the allowance that was discontinued in 2008. CAG had pointed out that military personnel posted to BRO/GREF were getting CI allowance while civilian employees were not getting the same. The petitioners are contending that “risk-related” allowances was introduced for all Army personnel as compensation of deployment in insurgency affected areas or field areas and Regulation 18 of the Border Roads Regulations states that military officers shall continue to be eligible for special concessions admissible in various areas to defence personnel from time to time. 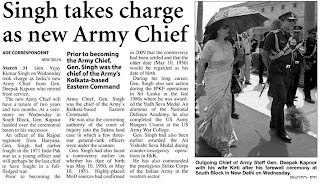 Press Trust of India, Wednesday March 31, 2010, New Delhi General V K Singh, the seniormost infantry officer, was on Wednesday handed over charge of the Indian Army, the world's second largest, by outgoing chief General Deepak Kapoor and he will formally assume his new office on Thursday. He will be the first trained commando to take over as the Army Chief. General Singh, who has vast experience in counter-insurgency operations and till lately was the GOC-in-C of Kolkata-based Eastern Command, was handed over charge by General Kapoor at a ceremony in the South Block in New Delhi. 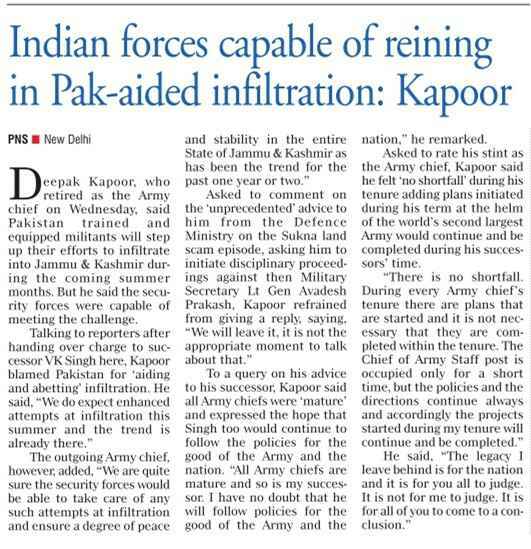 Kapoor retired from the Army after over four decades of service and would formally cease to be the Army Chief at midnight on Wednesday. 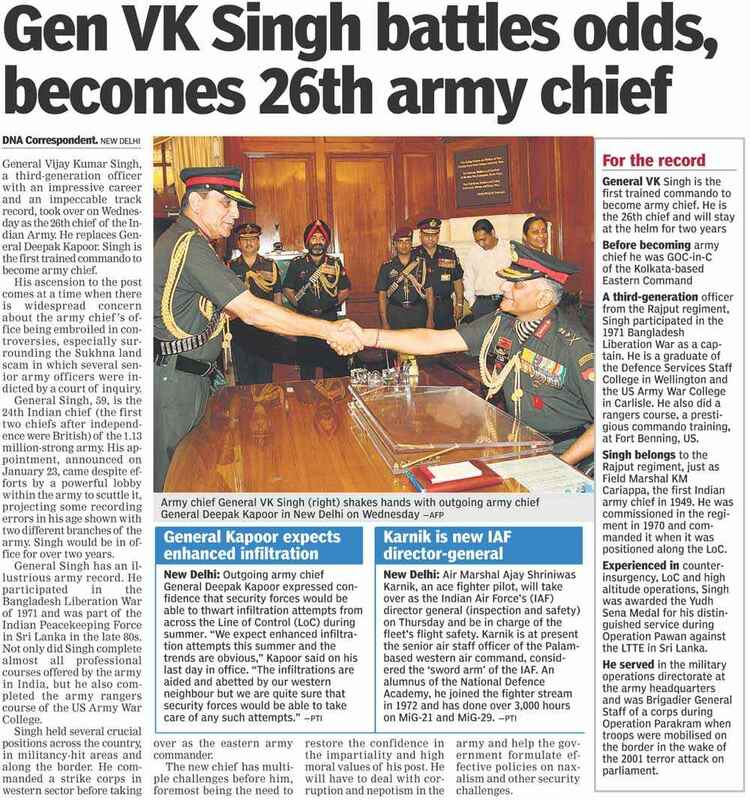 Singh, who picked up the four-star rank of General on Wednesday, will be the 26th chief and will stay at the helm of the 1.13 million personnel-strong Army for over two years. The Defence Ministry had on January 23 issued the order appointing Singh for the top post after the Cabinet Committee on Appointments cleared his name a day earlier. Singh was in the news recently when he recommended action against four General-ranked officers indicted by a probe in the Sukna land scam in Darjeeling district of West Bengal. A third generation officer from the Rajput regiment, Singh had participated in the 1971 Bangladesh Liberation War as a young captain. He is a graduate of the Wellington-based Defence Services Staff College as well as the US Army War College at Carlisle. He also did a Rangers Course, a prestigious commando training, at Fort Benning in the US. The new Chief belongs to the Rajput Regiment just as Field Marshal K M Cariappa, the first Indian to become the Army Chief in 1949. Singh was commissioned in the Rajput Regiment in June 1970 and commanded the same unit when it was positioned along the Line of Control with Pakistan. Experienced in counter-insurgency, Line of Control and high altitude operations, Singh was awarded the Yudh Sena Medal for his distinguished service during 'Operation Pawan' against the LTTE in Sri Lanka. Singh, who has seen action in the 1971 war, also served in the Military Operations Directorate at the Army Headquarters and was Brigadier General Staff of a Corps during 'Operation Parakram' when troops were mobilised on the border in the wake of the 2001 terror attack on Parliament. He also commanded the Jalandhar-based 11 Corps and Ambala-based Strike Corps and was an instructor in the Indian Military Training Team (IMTRAT) headquarters in Bhutan. Singh was awarded the Ati Vishisht Seva Medal (AVSM) for distinguished service while commanding a counter-insurgency force. The General has a illustrious record in the Army for standing first in the Young Officers Course of Infantry and again being awarded the Commando Dagger for standing first in the Commando Course. Singh will be the 24th Indian to be the Army Chief, as the first two Indian Army Chiefs were British officers General Sir Robert Lockhart and General Sir Roy Bucher. The Indian Army has so far had 14 Infantry, six Armoured and five Artillery officers, including General Kapoor, as its Chiefs. K J M Varma/PTI / Beijing March 31, 2010, 14:45 IST China's all-weather ties with Pakistan and its reservations in backing India's aspirations to become a permanent UN Security Council member dominated the proceedings of the first-ever public get together of Indian and Chinese media professionals here. 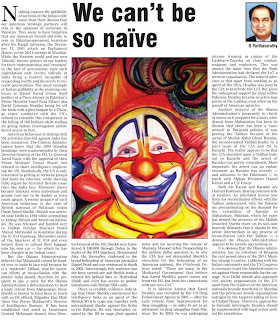 The one day event organised yesterday by the 2010 India-China Development Forum which was set up with backing of China's top media houses and the Indian Embassy here has displayed a heated debate, something that the Chinese media professionals have rarely seen and appeared to have thoroughly enjoyed. The spark was ignited by Karan Thapar, the noted Indian television interviewer and President of Infotainment Television stating that despite the shared history and cultural ties with bourgeoning trade, China was viewed with suspicion in India for its close military and strategic ties with Pakistan, which continues to be an impeding factor for a vibrant Sino-Indian relationship. He also pointed out Beijing's reservations in extending full support to India's aspirations to become permanent member of the UNSC has also cast shadow on the relations between the two countries. 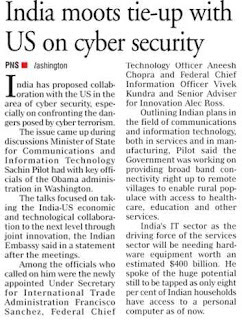 Perhaps China too entertained similar apprehensions about India-US relations. 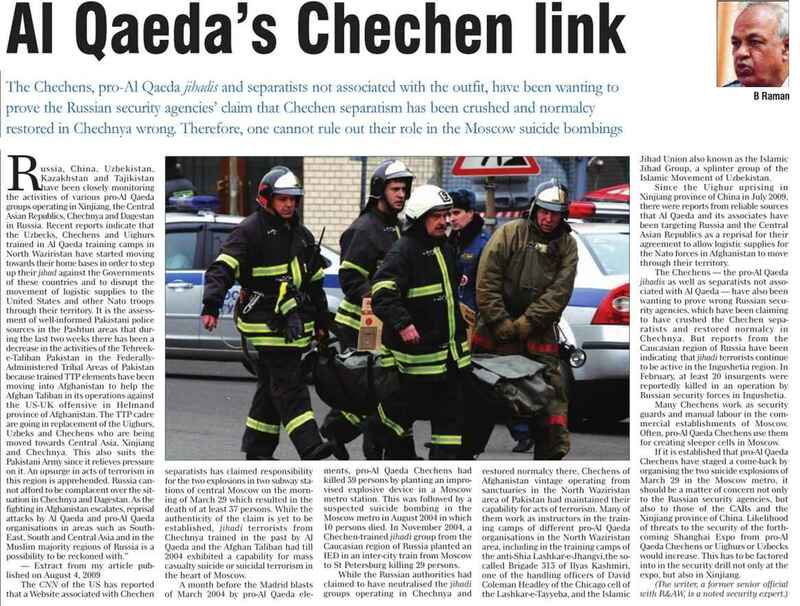 These "suspicions" gets reflected in media and picked by audiences, becoming a part of their mental outlook, he said. Chinese Minister of the State Council Information Office Wang Chen, who attended the inaugural session of the meeting, met Thapar after the session and appreciated the candidness with which the issues were discussed. Some of the Chinese Journalists and academicians including, Zhou Minwei, President of China International Publishing group and Ma Jiali, Research Professor of China Institute of Contemporary International Relations in their speeches took pains to explain that China's policy to Pakistan has changed in the last ten years and Beijing viewed its relationship with New Delhi and Islamabad with more sense of equanimity. Last Updated : 2010-03-31T11:51:47+05:30 Reflecting on the current challenges, Lieutenant General V.K. Singh, who is appointed as the new Indian Army Chief has cited that to make the defense operational activities more powerfully impactful the artillery modernization programme needs to be updated. 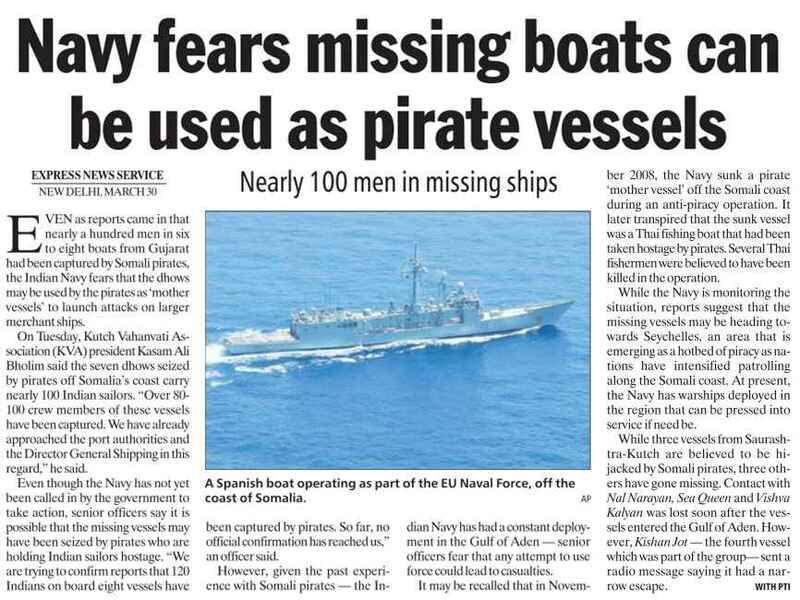 This is the significant factor which has not been concentrated for years and has developed a major setback in operational activities that has left the forces handicap with limitations. The new Indian Army Chief is a graduate of the US Army Infantry School at Georgia in the US and is an alumnus the Wellington-based Defence Services Staff College, the Mhow-based Army War College and the US Army War College, Carlisle. Recipient of the Param Vishist Seva Medal, the Ati Vishist Seva Medal and Yudh Seva Medal, considered as one of the honorary ADCs of the president of India, who is the supreme commander of the armed forces. 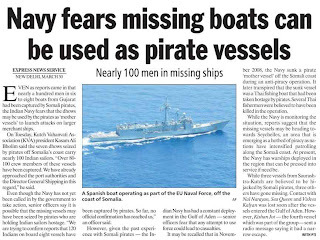 He sighted due to 1980’s Bofors payoff scandal it has impacted upon the weapon purchases and thus the army is now left with just about half of the 410 Bofors guns, with normal wear and tear and cannibalization. Now after past half decades the government needs to reflect for its renovation in machinery equipments for the Indian army and should be empowered with $647 million benefit to access 145 M777 155mm ultra light-weight howitzers with Laser Inertial Artillery Pointing Systems (LINAPS) manufactured by BAE Systems . To this view of Singh, the defense ministry gave a go-ahead signal for field trials of the towed guns but with a caution of the Bofors charges. The Defence Research and Development Organisation (DRDO) that developed the Arjun had notified that the army should be given the privilege to go for sophisticated weapons in return to their decades-old effort. Emphasizing the government to help purchase intermediate-range helicopters and short- and medium-range air defense systems for air operation as well as for further facilities for the ground operation to combat in night efficiently with night-vision sights and thermal imaging systems for tanks. Air Chief Marshal P.V. Naik, the new chairman of the chiefs of staff committee, wants more coordination among the army, air force and navy. 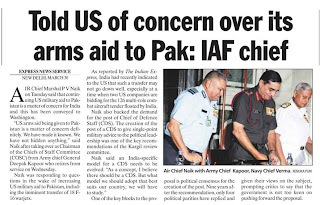 He said he was in favour of the concept of a Combined Defence Service (CDS) immediately after taking over as the chairman of the chiefs of staff committee (COSC) from outgoing army chief General Deepak Kapoor. "We need to do more to reach the level of a CDS," Naik added. He spelled out three models that countries with CDS follow. One of them is when the CDS deploys the armed forces for operations and otherwise; the second is when the chief of the combined forces conducts a training and when the CDS conducts the budgeting and recruitment. 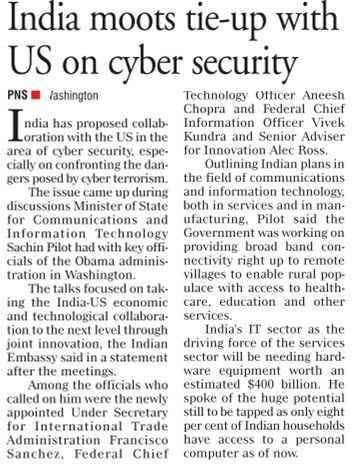 The Centre had been toying with the idea of introducing the system in the country ever since the Kargil War entailed a security review. 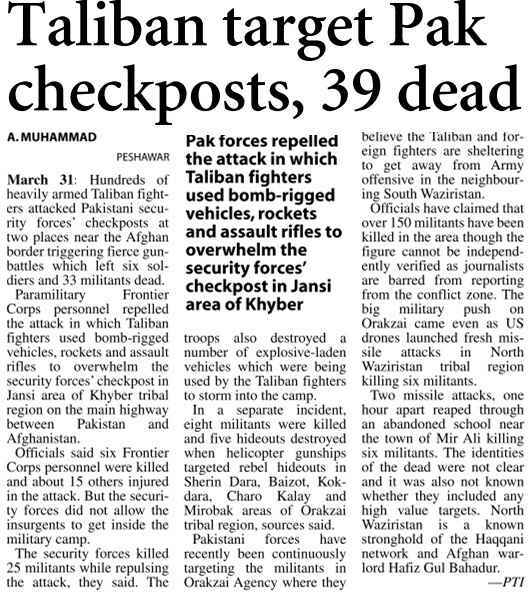 But various oppositions to the idea, be it from the air force or the army or even the political establishment have stalled its implementation. 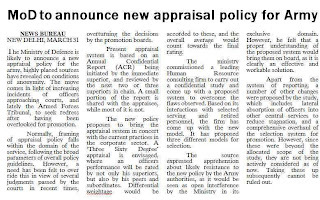 With the new chairman of the coordinating body of combined armed forces vigorously backing the idea, it could be expected to gain momentum. 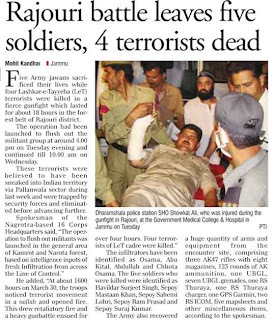 Naik also rubbished the contention of the ministry of defence's annual report that insurgency in Jammu and Kashmir was given lesser priority than Maoist extremism or disturbances in the north-eastern states. "There is no loss of concentration on (preventing) the infiltration from across the border into Jammu & Kashmir." 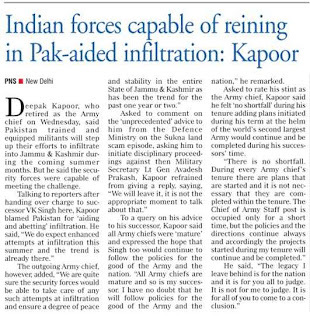 Kapoor, who handed over the COSC chairmanship to Naik said: "India can launch surgical strikes across the border. 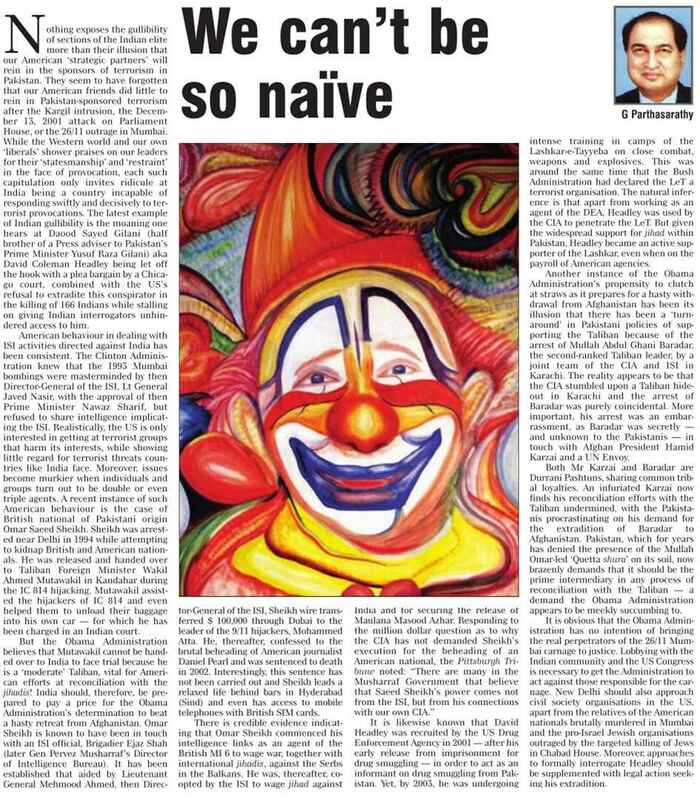 But the government has to first take a decision." On the induction of women officers in the armed forces, Naik said legal implications of the recent Delhi High Court order were being studied. "In the air force, we are working with women and we would continue to do so."